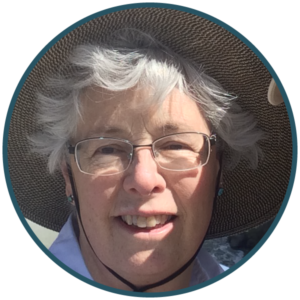 I am Barbara, I live in Idaho, USA. 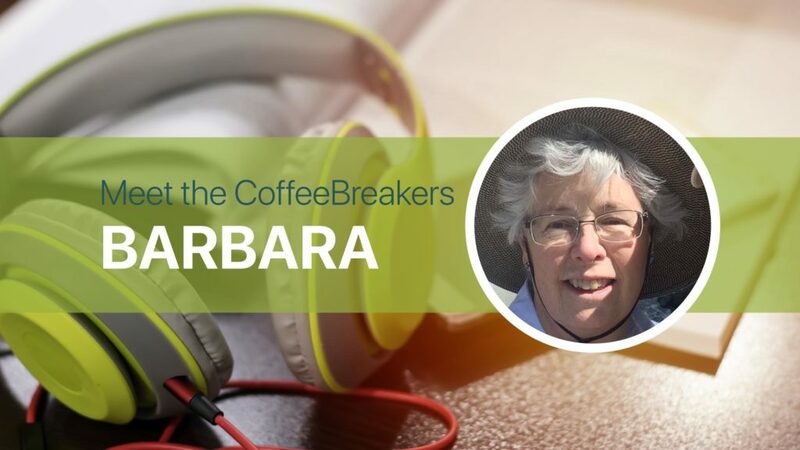 I started studying the free Coffee Break episodes in 2010 when I retired from my career as a speech-language pathologist. Going back to work a few years later put my lessons on hold. Three years ago I started Coffee Break Italian, but again, work intervened. Last month I started French again and subscribed to get the bonus materials. As much as I love learning Italian, I was frustrated that I have no one with whom to speak in my small, rural town. With French, I can speak with my sister long distance and a friend in the neighbourhood. French (fourth grade), German (two years in high school), American Sign Language (ASL) in college, Spanish (community classes and work site). My mother and sister also studied French, my brother studied German in college and during a semester in Kiel, Germany. My own family has had five exchange students and have visited them in Germany and Denmark. My son now lives in Münich, Germany and since my daughter-in-law is from El Salvador, my two grandsons are attaining tri-lingual skills. My husband and I have been on tours in Austria, Austria, and northern Italy. Since my skills are at such a basic level, being able to order food and ask for directions has been important in our travels. (No chicken pizza for us!) Learning the grammar and vocabulary patterns and discovering similarities between them is delightful! My confidence in speaking is low but I want to take these endeavours to a higher level! Good question! For Italian, I want to return to I Dolomiti in northern Italy, meet my grandsons for a week of hiking and exploring! For French, to spend a week in Provence with a friend, sampling foods, wines, scenery. Reviewing each lesson at least twice, writing a short dialogue with those vocabulary items and incorporate previous lessons. Do you have a favourite film, TV show, book or singer in the language? Not yet! Your favourite destination to practise your language: Bolzano, gateway to I Dolomiti, such beautiful mountains! Learning a new language is such an epic experience, whether one travels or not! The Coffee Break Academy with Mark and his talented crew is a fun and challenging way to bring the world to you! PrevPreviousCBC 1.35 | Nín xūyào shénme bāngzhù? Ad aprile visito mio figlio e la sua famiglia a Monaco di Baviera. Visitiamo sempre il nostro ristorante italiano preferito vicino a casa loro. Non vedo l’ora di parlare italiano!